I bought Chikuwa this new raincoat cause the old one is getting worn out after eight years. 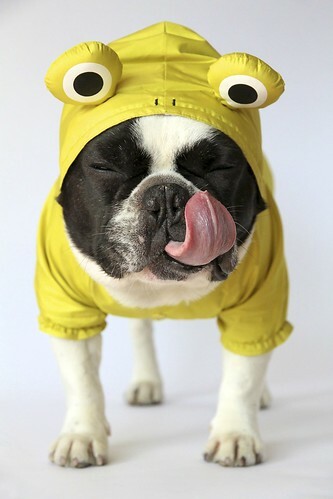 French Bulldog Chikuwa in his new frog raincoat, a photo by solutionsoap on Flickr. 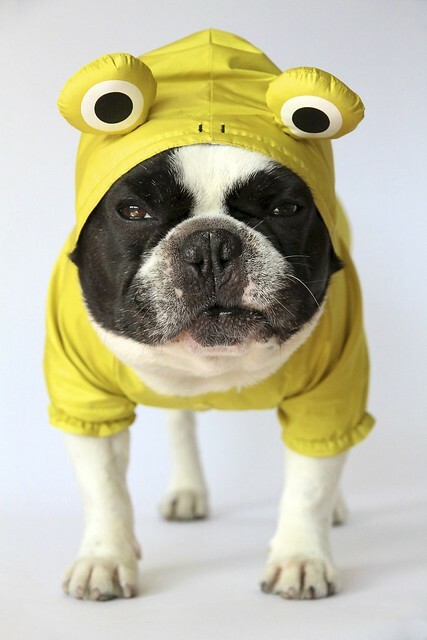 I am from Taiwan and currently live in Japan with my partner and my awesome French Bulldog Chikuwa. I update a doggie blog from time to time. my lovely french bulldog chikuwa debuted on YouTube! See how a french bulldog pulls the string to make his mouse shake, rattle & roll!! Even dog should have their own personal mouse!